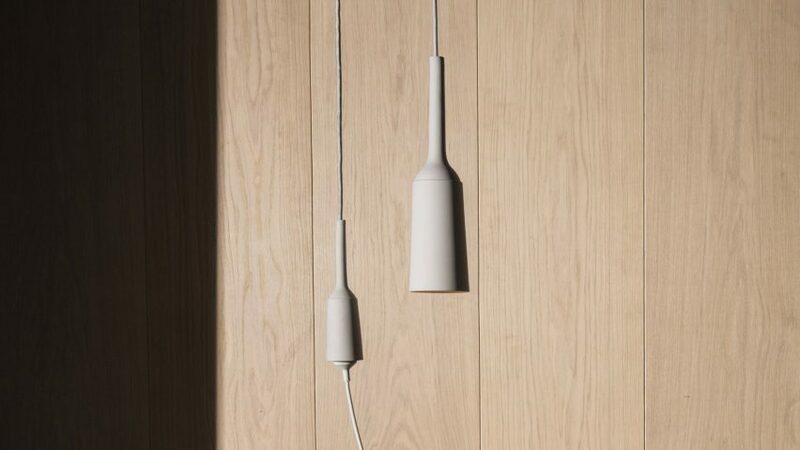 Dutch designer Lotte Douwes has created a charging solution for Danish brand Menu, which swaps discreet wall sockets for power stations that hang from the ceiling. With her Lamp&Socket device, Douwes aimed to create a flexible product for charging laptops or smartphones in a home, social or office environment where it can sometimes be difficult to find a power socket. She also wanted the solution to have a strong presence, unlike a traditional wall socket that is often designed to be discreet and hidden. "The wall socket is often a hidden element of the home as it is widely deemed as unattractive," she said. "Lamp&Socket turns this notion on its head, transforming something seemingly displeasing to look at into something beautiful," she continued. 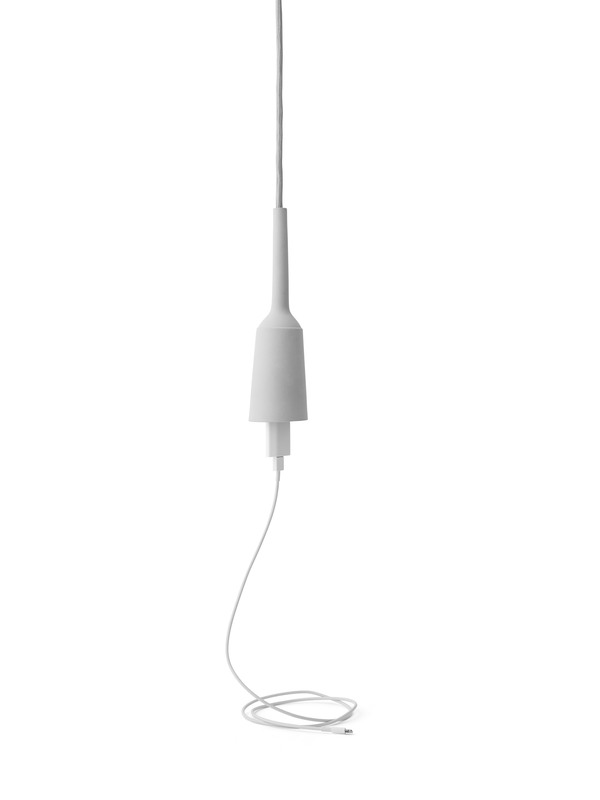 Using porcelain, Douwes created a system that combines a matching lamp and socket designed to hang above tables or working spaces. 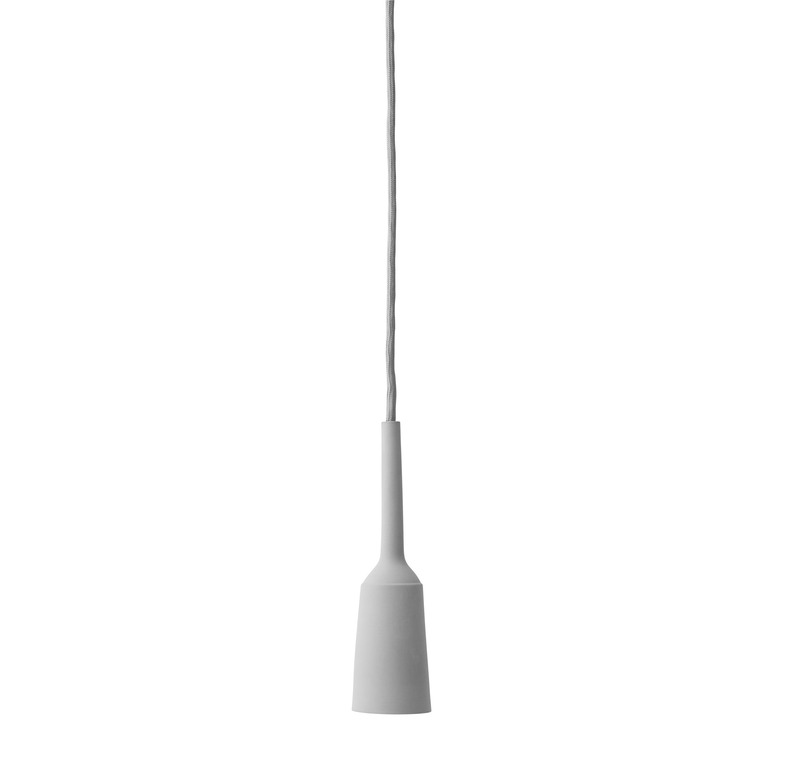 Both pieces are typical of Menu's minimal aesthetic and feature narrow, tubular bodies in a light grey colour with matching wires. "Lamp&Socket encourages a more flexible way of life for a variety of settings such as private and public spaces, allowing its users – without major interventions – greater freedom of how a room will be used, enhancing the experience for all," said Douwes. As smart devices become more and more ubiquitous in our lives, designers are increasingly coming up with alternative charging solutions. Other projects include a wireless charging island by South Korean startup Mobileisland and a range of homeware that incorporates wireless charging by Seoul studio Pesi. IKEA has also launched a range of furniture and homeware that features integrated induction charging. Lamp&Socket was presented at this year's Stockholm Furniture Fair earlier this month, as part of the city's annual design week. Other launches at the fair included a chair made from bio-resin and a collection of 1970s-inspired furniture by Fogia.